Have you seen an article in your facebook feed telling you that a simple sitting test can predict how long you’ll live? Unlike so many of the Facebook tests you find in your feed, this one, believe it or not, has some validity. So let’s see how long we have left, shall we? The test itself is fairly simple. Forearm? That’s one point gone. One hand on knee or thigh? Yet another point off your score. Side of the leg? You guessed it, one point gone. Round up to zero, if necessary. My score was an OK-I-Guess 8. I had to put my hand down and use the side of my leg. I honestly do not see how you could get up without using the side of your leg. But I didn’t just spring down and spring up. To get my 8, I had to put thought into it. If I were just getting up from the floor without being graded, I would have probably rolled over onto my hands and knees and then grabbed the ottoman for support. My balance needs work. Let’s put that in a bit of perspective. At my age, I have a .004 chance of dying this year. Two times that is .008, which gives me the same odds of dying as a woman ten years older. That is actually a little disturbing. Five times .004 is .02 which puts my odds of dying roughly equal to a 74-year-old woman. As our balance weakens, we compensate by widening our stance, so to speak, placing our feet farther apart so as to provide a more stable platform. But this wider stance, in turn, makes walking and running much less efficient than our narrow, youthful stride. This, in part, is why older people seem to shuffle along, even when they are trying to run. As a result, we waste energy, and slow down even more. This is ultimately why walking speed – and walking efficiency are so important, Ferrucci thinks. They are a sign of, basically, how much gas we have left in the tank. I’m reminded of a trip I took to New York last year with my daughter where she confidently bounded over the snow and icy spots and I shuffled along, convinced I was going to fall any second. When we run out of gas completely, we reach a state called frailty, one of the end stages of aging. It doesn’t refer to just fragility, but rather to a state of weakness and exhaustion, often characterized by slowness, low levels of activity, and unintentional weight loss. You waste away, basically, and at that point, it doesn’t take much to push you over the edge. Any of us who have ever had a relative take a small fall, break a hip, and die should feel a chill about now. I certainly felt one when I read this. So, maintaining (or improving!) your balance is important. And if your balance isn’t great, what are some good ways to improve it? 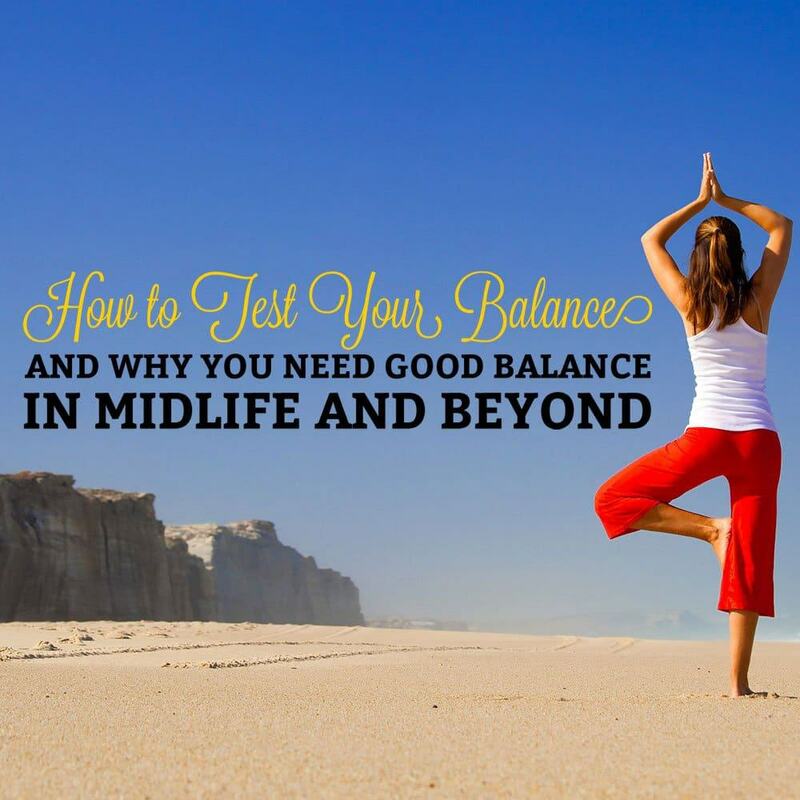 Wednesday’s post offers some tips for improving your balance. Research has shown that foot massage can improve balance. Standing on a tennis ball is a great way to massage your feet.